Transcript of my keynote talk. My name is Jimmy Watkins, and I’m five-years old. 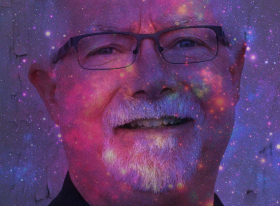 My uncle asked me to introduce his talk on creativity because some big, smart person at NASA said that five-year olds are 98 percent creative. I think that’s like a whole bunch! She was not impressed when I used my little sister’s Hello Kitty umbrella as a parachute to jump off the garage roof. And Mom turned all red and mad when I used her can of hairspray and those stinky candles in the bathroom to make an awesome . . . like really awesome . . . flamethrower. She sent me to my room, which was cool with me, since that’s where I do my most creative work. And I discovered that if you take the light bulb out of your Minion night light and you pour in glitter . . . you can made your own fireworks. Wow! It was awesome! But then the smoke detector went off, and she made me sit in a kitchen chair. But as soon as she turned her back, I learned I could put one foot on the seat of the chair and the other one the back and could balance on the the back legs. It was like I was surfing! “Cowabunga!” But I also learned you can wipe out . . . and end up in the Emergency Room. Like gnarly, dude! but that by ten-years old, it drops to 30 percent. And when you’re really old—like fifteen—it drops to 10 percent. And by the time you’re a big person, you only have 2 percent creativity left. Maybe it’s all the stitches . . . and the singed eyebrows . . . and the trips to the principal’s office that squeezes the creativity right out your ears. Anyway, my uncle said he going to talk about how old people can become more creative by looking at the story of that guy who keeps leaving his Bible in hotel rooms. So, while he talks, I want to go to the sound board and see what all the buttons do! That should be fun! Uh, thank you, Jimmy. And sit right down there in the front row, so I can keep an eye on you. It is true, our level of creativity does drop from 98 percent at five to 2—that’s T-W-O—by adulthood. But the story of Gideon is a classic example of creativity in action! The kind of “out of the box” thinking that God wants to impart to each of his children. God not only created a . . . well . . . creative creation, but he continues to perform creative miracles today! So behold . . . The Israelites did evil in the Lord’s sight. So the Lord handed them over to the Midianites for seven years. The Midianites were so cruel that the Israelites made hiding places for themselves in the mountains, caves, and strongholds. Whenever the Israelites planted their crops, marauders from Midian, Amalek, and the people of the east would attack Israel, camping in the land and destroying crops as far away as Gaza. They left the Israelites with nothing to eat, taking all the sheep, goats, cattle, and donkeys. These enemy hordes, coming with their livestock and tents, were as thick as locusts; they arrived on droves of camels too numerous to count. And they stayed until the land was stripped bare. So Israel was reduced to starvation by the Midianites. Then the Israelites cried out to the Lord for help (6:1-6). Things were looking bleak for the Israelites. But God sends an angel to Gideon and I trust this talk is a word from God for you this morning that inspires some creative solutions to the horde of Midianites, Amalekites, and smelly camels in your life. Just a quick parenthesis: I love that phrase, “Go with the strength you have” Even if life has sapped your strength, you’re tapped out and running on fumes, you’re only required to go on with the strength you have! The Lord said to him, “I will be with you. And you will destroy the Midianites as if you were fighting against one man” (6:14-16). Remember that phrase: “as if you were fighting against one man.” I love God’s foreshadowing! He is a brilliant writer! So God gives Gideon a ca-razy creative solution. My fellow Hebrews, ask not what Israel can do for you, ask what you can do for Israel. I can only offer you blood, sweat, and tears, but history will record that this was Israel’s finest hour. Remember the grain! May the force be with you! Let’s go out and win one for the . . . Excuse me, it’s the Commander in Chief. Yes, I know we have a numbers problem. Yes, I thought . . .
Too many? But . . .
Alright! Listen up and listen good. Get the women, children, and lily-livered cowards off the battle field. No! Wait a minute! Maybe you didn’t understand . . . just those with a yellow streak. Well, men, we’re outnumbered, so we’re going to have to go to Plan B—an elite commando force. Now, all you guys weighing two hundred pounds and six feet tall who played lineman for Hebrew High, I want you to . . . Yes, Sir, I thought we could use a small SWAT team. Great, I’ve got some real Rambo types and . . .
Let me make sure I heard that right. You want me to pick the men by how they what? Okay, men, we’re moving out to the river. Now, you guys with the wet heads, pack up your tunics and head for your tents. You . . . you three hundred . . . skinny guys, come with me. I’m sure the Commander in Chief has some smart weapons for our mission: laser-guided spears, atomic-powered battering rams, or intercontinental catapults, or . . . Excuse me, it’s the Commander in Chief. Yes, Sir. Alright men, gather ’round for your battle briefing. This is the AK-47 . . . Clay Pitcher. Take care of your pitcher and your pitcher will take care of you. The AK-47 is armed with a 100-millimeter flame-throwing . . . torch. Make sure your torch is well-trimmed and properly oiled. Finally men, the pneumatic-powered . . . trumpet. Now, let’s move out! I know it’s “oh-one-hundred” hours, but the Commander says we’re to attack in the middle of the night. Look, I’m only taking orders from higher up—and I do mean higher up! I love that God has a most creative solution for Gideon and I know he has a creative solution for you. 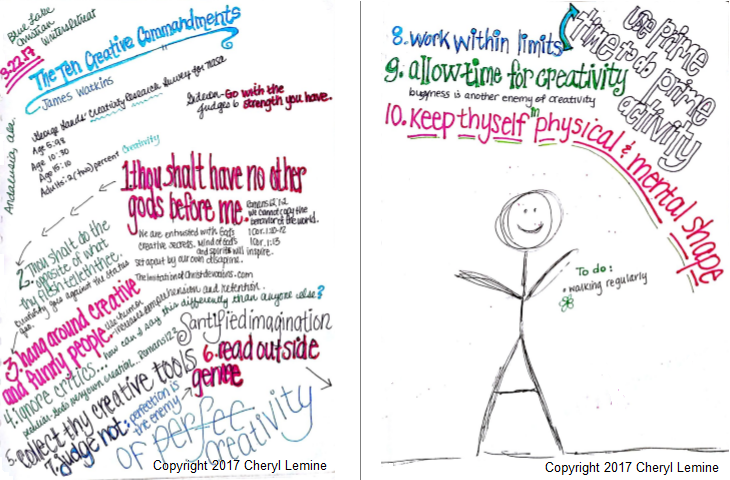 So let’s look at The Ten Creative Commandments and see how you can apply them to the challenges you’re facing. “I told you, ‘I am the LORD your God. You must not worship the gods of the Amorites, in whose land you now live.’ But you have not listened to me” (6:10). We serve a creative God who wants to create through us! But he is only going to use clean vessels that are “set apart” for his use. Don’t copy the behavior and customs of this world, but let God transform you into a new person by changing the way you think. Then you will learn to know God’s will for you, which is good and pleasing and perfect (Romans 12:1-2). To be creative you can’t “copy the behavior and customs of this world.” Christian publishing, Christian music, and Christian ministry all have a tendency to copy the world. For instance, no sooner had Chicken Soup for the Soul begun selling well, than a Christian publisher came out with Vitamin C for the Soul. The same publisher knocked off the popular . . . for Dummies series of how-to books with a series—complete the familiar yellow cover— . . . for the Biblically Inept. We serve the creative Creator. It was the Church that gave us the Renaissance of art, music and drama! So, why aren’t Christians on the cutting edge in art any longer? . . . on the cutting edge of music? . . . on the cutting edge of screenwriting? My theory is that today’s Church has abandoned the teaching of sanctification for pacification: McMessages that make people feel good about being bad. The message of holiness has been replaced with “I’m just a sinner saved by grace.” True, but we are saved to be holy!
. . . it was to us that God revealed these things by his Spirit. For his Spirit searches out everything and shows us God’s deep secrets. No one can know a person’s thoughts except that person’s own spirit, and no one can know God’s thoughts except God’s own Spirit. And we have received God’s Spirit (not the world’s spirit), so we can know the wonderful things God has freely given us (1 Corinthians 1:10-12). Let that sink in for a second! The God who created this amazing world with Venus Fly Traps, platypuses the human mind is sharing his mind with us! Mind blown! When we tell you these things, we do not use words that come from human wisdom. Instead, we speak words given to us by the Spirit, using the Spirit’s words to explain spiritual truths (1 Corinthians 1:13). His Spirit will inspire it, but you have to put it in the best possible form. So, to have a sanctified imagination, first be sanctified: Cleansed and set apart for God’s service, with no other gods! Now, if you’re facing an army of 100,000 men— and you have 32,000 men— what’s the human response?! Hide in the caves! Our human nature is going to tell us all kinds of lies straight from the enemy: You’re not creative. You’re not talented. You’re not good enough. The battle for publication is too great for you. And, so, you and your manuscripts hide away and never venture out onto the plains of publishing. But the opposite of what your human nature is telling you! If the “obvious” solution is A, then do B. 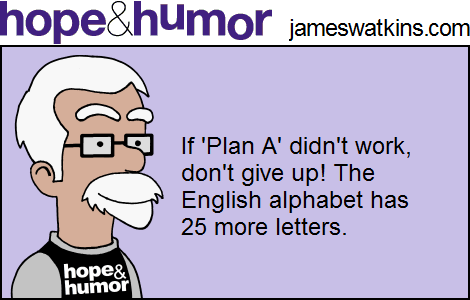 Or better yet, try T or Z! Creativity always goes against the status quo. God laughs at odds! One boy’s lunch to feed 5,000 men in addition to women and children . . . and a good number of junior high boys! So, in your life and in your writing, do the opposite of what your human nature is telling you is reasonable, rational, and safe. What is the first “cut” in Gideon’s army? The Lord said to Gideon, “You have too many warriors with you. If I let all of you fight the Midianites, the Israelites will boast to me that they saved themselves by their own strength. Therefore, tell the people, ‘Whoever is timid or afraid may leave this mountain and go home.’” So 22,000 of them went home, leaving only 10,000 who were willing to fight (7:2-3). Unfortunately, some of the most “timid” and “afraid” people may be your own family and church. You need a small group of creative people who will support your “crazy” dreams. That’s why local writers’ group and national conferences are so important! Also, studies have show that a positive mood can increase creativity. It actually boosts activity in the areas of the brain associated with complex cognition, decision-making, and emotion. According to other studies, the Minimum Daily Adult Requirement of Laughter is fifteen outbursts. 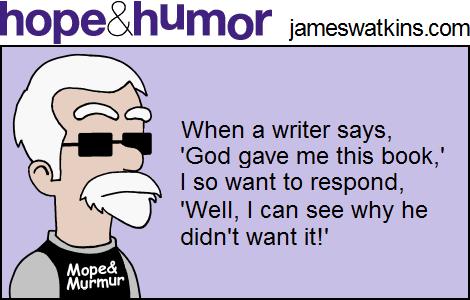 (You can read more about all the benefits of humor in my book, Writing with Banana Peels. Humor not only has health benefits, but humor in your writing increases attention, comprehension and retention. So, hang around other creative and funny people. You need that small group to encourage your creativity and imagination! And equally important . . . Allow yourself to be not-normal In my writing in print and online, even in my emails, I am constantly asking, How can I say this differently than everyone else? I am intentional about being not-normal! Ye are a chosen generation, a royal priesthood, an holy nation, a peculiar people. Don’t let the world around you squeeze you into its own mould, but let God re-mould your minds from within. That’s what sanctified imagination is all about! God remolding our minds into his creative nature! So Gideon collected the provisions and rams’ horns of the other warriors and sent them home. But he kept the 300 men with him (7:8). You need your own clay pots, torches and trumpets. My office is filled with all kinds of objects that spark my creativity I have a painting of Aslan that stares at me. (Nothing is more creative than C.S. Lewis’ The Lion, the Witch and the Wardrobe.) I have an oil painting from my great grandmother, who lived a “Walden Pond” life alone in the woods, where she painted and wrote poetry. I hope I inherited some of her creative genes. And my book shelves have more “stuff” than books: artwork from my grandkiddos, plaques with inspirational sayings, and my attempt at a self-portrait. 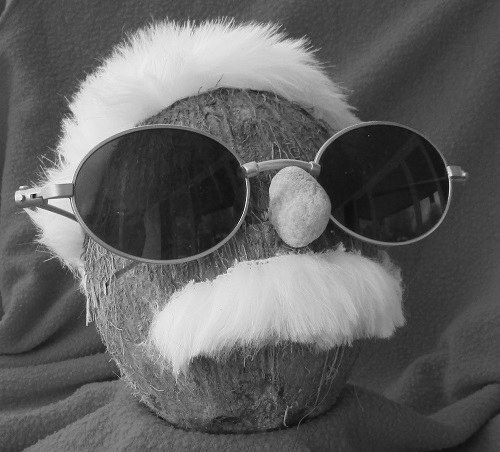 My true medium in coconuts! Creative sights are important, as well as sound. “The Mozart Effect,” argues that listening to the famous classical composer can increase creativity, concentration and other cognitive functions. Sometimes the whole experience of writing by hand—the ink on our fingers, the smell of a fresh notebook—is all it takes to get creative juices flowing. So, surround yourself with creativity: books, music, art . . . and perhaps a new notebook and a really nice fountain pen. There didn’t seem to be any formal training for becoming a judge in the Bible. And if there were, I doubt if “Military Weapons 101” would have included pots, torches and trumpets! That’s why it’s so important to have a broad, varied knowledge base. For instance, an expert is someone who learns more and more about less and less until he knows everything about nothing. You need to have a “liberal arts” education. Learn a little about a lot! Especially things that are outside of your genre or interests. [Gideon] divided the 300 men into three groups and gave each man a ram’s horn and a clay jar with a torch in it. It was just after midnight, after the changing of the guard, when Gideon and the 100 men with him reached the edge of the Midianite camp (7:16-19). Can you imagine Gideon and his men’s reaction to the battle plan?! First, you don’t fight an army 333 times bigger than you! And second, your don’t fight an army 333 times bigger than you with pots, torches and trumpets! Finally, third, you do not fight in the dark. With no night-vision goggles, war was a 9-5 job back then: You clocked out at 5 pm. Had a good meal. Got a good night’s sleep. and clocked back in a 9 am. And, perhaps most important, creative people are not afraid of failure. The president of Honda Motors—a rather successful company— claims 99 percent of what they do is a failure. But by not being afraid to fail, they have created some of the most reliable vehicles on the market. So, write this down: Perfection is the enemy of creativity. Ann Lamott, in her excellent book on writing, Bird by Bird, encourages authors to “write doodoo.” (Well, that’s a paraphrase) Don’t judge the first draft! The army is limited to 300 men— whose only qualification was how they drank water! The best creativity works within rigid structure. For instance, Dr. Seuss’ editor made a bet that he couldn’t write a book using 50 or fewer words That limitation gave us the classic Green Eggs and Ham! Creativity without rules is like trying to staple Jello to the wall. It needs structure to communicate effectively. Know your creative cycles. “Just after midnight” may have been good for the Israeli army, but it is not my prime time! I’m one of those annoying “morning people,” so that’s my creative time. Then, in the afternoon, I do paper work. And by 6 pm, my brain has turned to Silly Putty. And allow for time to do nothing. Once the Israelites smashed their pots, waved their torches and blew their trumpets . . .
A quick historical footnote. There was usually one trumpeter per company of soldiers and companies could number in the thousands. So the Midianites would have believed they were totally, completely outnumbered! Each man stood at his position around the camp and watched as all the Midianites rushed around in a panic, shouting as they ran to escape. When the 300 Israelites blew their rams’ horns, the Lord caused the warriors in the camp to fight against each other with their swords (7:21-22). Be strong in the Lord and in his mighty power. Put on all of God’s armor so that you will be able to stand firm against all strategies of the devil (6:10-11). Then after the battle you will still be standing firm. Stand your ground . . . (6:13b-14). Busyness is another enemy of creativity. So, while I was editorial director at Wesleyan Publishing House, I told my staff to spend at least 15 minutes staring out the window In the stillness, we hear God’s creative voice. That 15 minutes of being still—I believe— was the reason we won four Evangelical Press Association awards: two for most improved magazine and two for best magazine in our category. (Now I’ve gone from teaching to preaching!) But keeping our bodies healthy and active actually is a key to creativity. A recent study found regular exercisers performed better on creative tasks than their less-active peers. The increased blood flow from exercise actually stimulates your brain and thus creativity. It can be as simple as walking. Beethoven would write his symphonies in his head while on long, solitary walks through the woods and vineyards. Steve Jobs, the creative co-founder of Apple, preferred to have meetings and serious conversations while walking. Other creative walkers include Aristotle and Charles Dickens. If I hit a mental roadblock, I actually walk around my house. It’s built with a circular layout: out the office door, through living room, dining room, kitchen, laundry room, bathroom, hallway, and back past the office—seven times! And if the weather is nice, a 20-minute bike ride recharges my brain and I’m firing on all neurons. So, with the help of our friend, Gideon, there are ten commandments for cultivating creativity. The most important thing to remember is that we are creative creations of the Creator and as a result we should be the most imaginative, creative and innovative writers, musicians, artists, dancers, you name it . . . on the planet. So, how do I end a talk on creativity in a most creative way? If you’re going to talk for thirty minutes on creativity you had better have a really creative closing? In communications it’s known as “congruency”— the topic and tone have to match. So, I started brainstorming ideas. I could do the opposite of what my humanity is telling me and just walk off right now. “That’s all I have to say!” Nah. Perhaps Willie Wonka’s theme from “Charlie and the Chocolate Factory”? We’ve had an army theme in this talk: soldier selection, creative weapons and a battle briefing. What can I do with that? What do they do in basic training? They march . . . in cadence (those short phrases shouted out by drill sergeants and repeated by recruits). So, with with the story of Gideon’s army in mind, on your feet, soldiers! We’re gonna do some marchin’! That is all I’ve got to say! Cheryl Lemine gets the prize for being the most creative notetaker! Now that is creative!